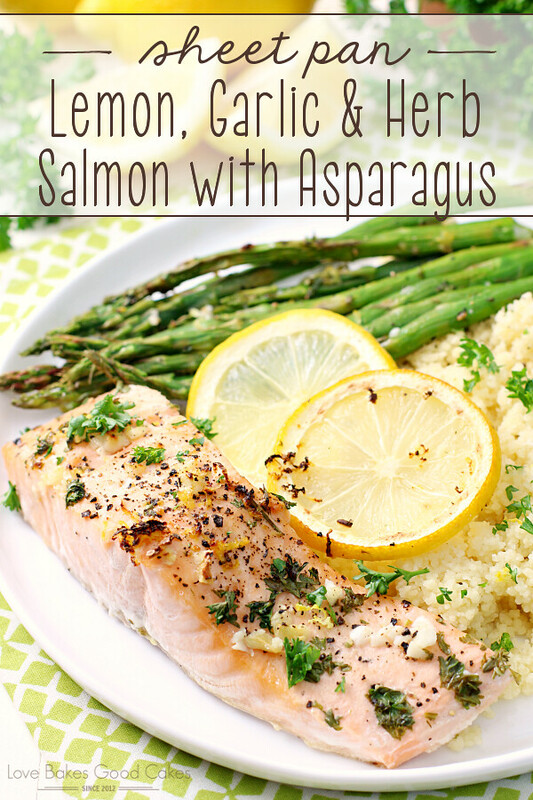 Dinner is quick, healthy, and easy with this Sheet Pan Lemon, Garlic & Herb Salmon with Asparagus recipe! It’s a family-favorite! Most people either fall into the category that they enjoy seafood and fish …. or they’re on the extreme opposite end of the spectrum and they really don’t like it! Which end are you on?! I know it’s going to sound weird given this post has salmon in it, but I am not a fan of fish. Never have been and my mom can vouch for it!! It’s not something we grew up eating very often, so really, I don’t make it now that I’m an adult. I also have very limited recipe ideas when it comes to cooking most fish since my exposure was pretty limited and for the most part, I never include it on our menu. I’ve never taken to experimenting with it and I know it’s a shame. However, there is one fish that I love to work with and I have tons of ideas for it! Salmon is my go-to fish and it’s one of the very few “fish and/or seafood” items that we eat quite regularly in the Love Bakes Good Cakes house! The only other fish or seafood I kinda know anything about it shrimp. I am so excited to share this with y’all and I hope you give it a try – even if you’re not necessarily a fan of fish!! 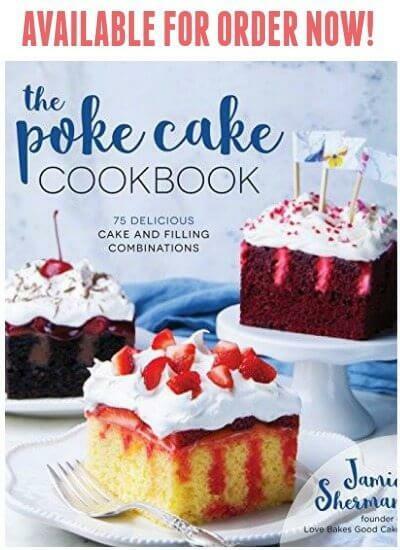 It’s a favorite in the Love Bakes Good Cakes house! So, this meal for six is made on a single sheet pan. 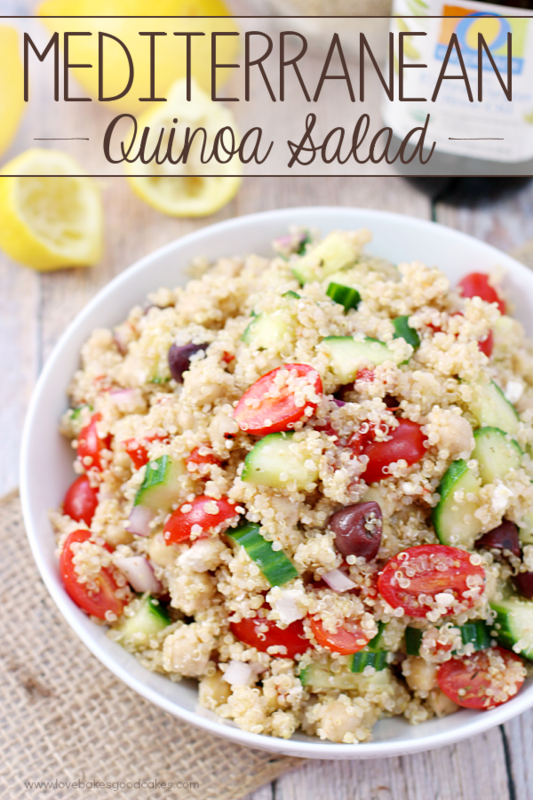 If you need a fast, easy, healthy, and delicious meal idea – this is the one!! If you’re on Pinterest, I’m sure you’ve seen a few sheet pan recipes floating around. They’re quite popular for good reason! I love that there is minimal clean-up and it’s a meal I don’t necessarily have to stand over and watch. I almost always serve this with couscous cooked in chicken broth. Although it’s not included in the recipe, it’s super easy to make too – just bring 3 cups of chicken broth or water to a boil. Turn off the heat and mix in 2 cups of couscous. Give it a stir and put a lid on it while the salmon and asparagus bakes. When it’s time to serve, just fluff it with a fork and voilà, that’s it! 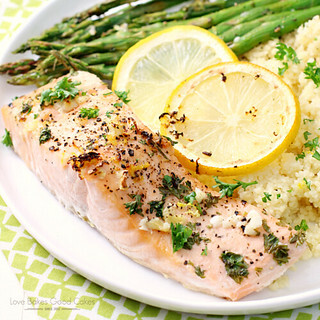 I like to add a bit of lemon zest and freshly chopped parsley to the cooked couscous when serving it with this Sheet Pan Lemon, Garlic & Herb Salmon with Asparagus – but that’s totally optional! 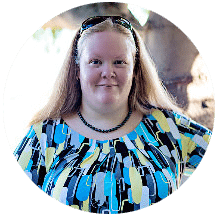 You will need a rimmed sheet pan that is at least 9×13-in. for this recipe. The one I use is slightly larger at 12×17-in. You can find the one I use HERE. 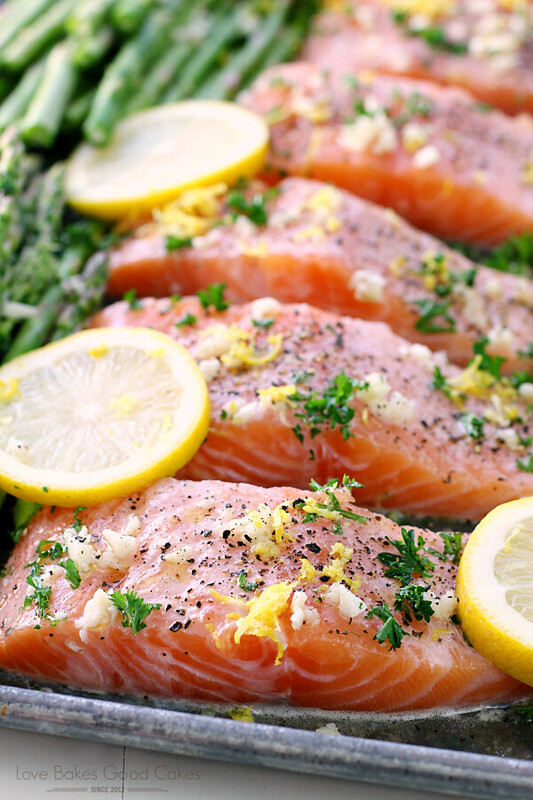 Dinner is quick, healthy, and easy with this Sheet Pan Lemon, Garlic & Herb Salmon with Asparagus recipe! It's a family-favorite! Preheat the oven's broiler to HI heat and set the oven rack about 6-8 inches from the heat source. Lightly spray a rimmed baking sheet with cooking spray. 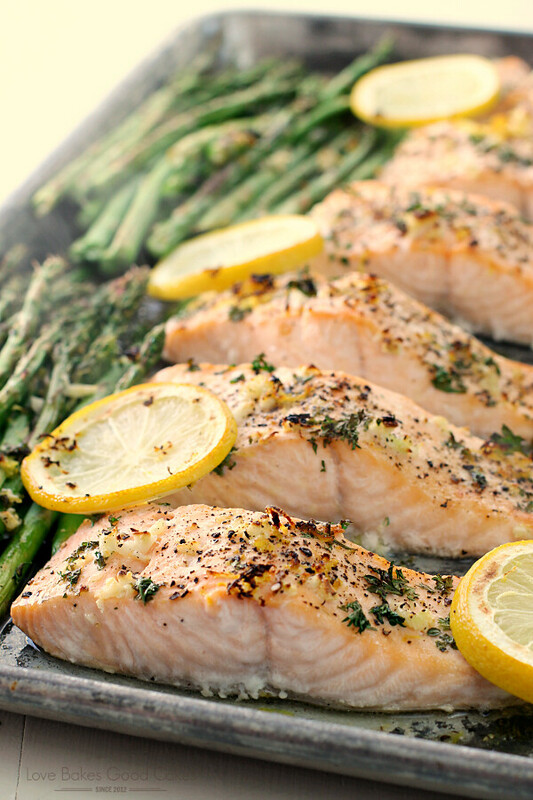 Place the salmon on a prepared baking sheet and arrange the asparagus around the salmon. 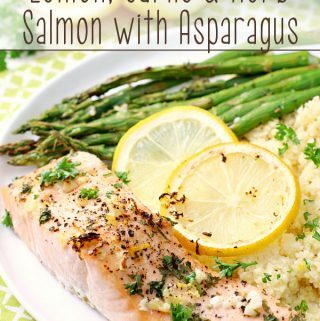 Pour lemon juice over salmon and asparagus. Lightly drizzle olive oil over the top of the salmon and asparagus. Sprinkle the garlic, parsley, and zest evenly over the top of the salmon and asparagus. Season all with salt and pepper. Arrange lemon slices over the top. 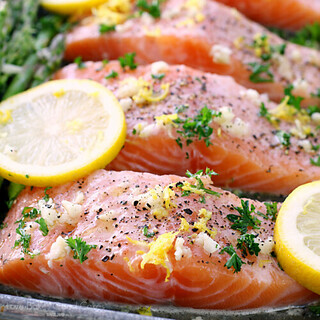 Broil for 8-10 minutes, or until salmon is cooked to your desired preference. If desired, garnish with additional fresh parsley. 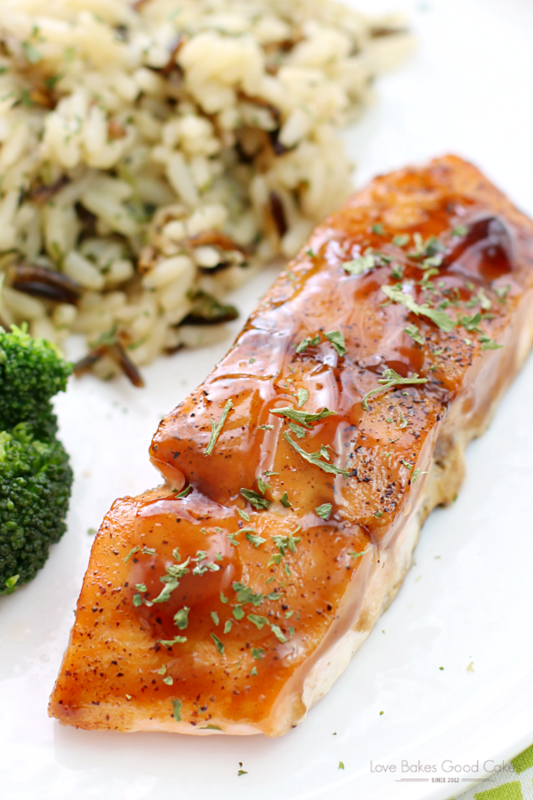 We eat a lot of seafood and Salmon is a favorite ! Pinned to try soon ! 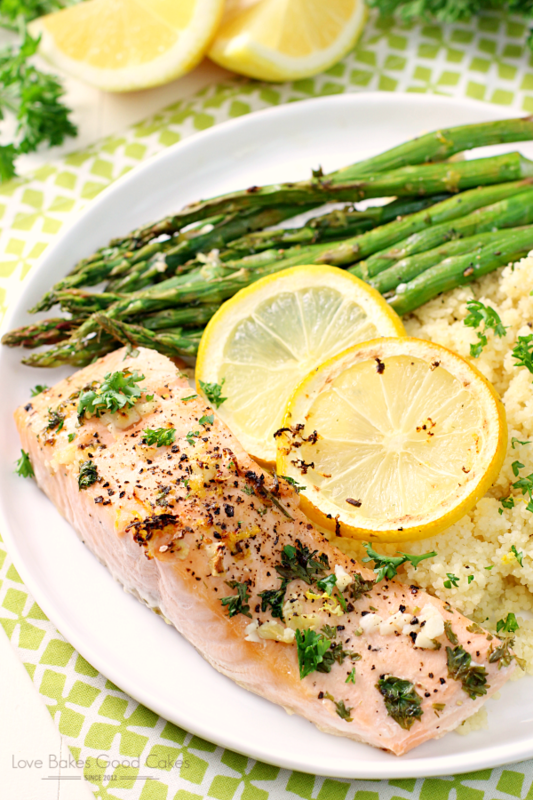 I love salmon,asparagus and couscous together! Such a easy meal plan, sheet pan cooking is awesome! Totally having this meal this week! Try Tuna steaks on the grill, couldn't be simpler! Just marinate for 15 mins in a ziplock bag with Panera Balsamic Vinagrette and grill over direct heat to desired doneness (don't overcook), I usually go about 3 mins per side. It should flake and still be a bit pink in the center. Also, we like to grill our salmon, skin on (the grey layer is where the majority of the Omega 3s are located), liberally seasoned with Zatarain's Creole Seasoning. Again, don't overcook… about 3 mins cut side then finish on skin side, about 3-4 mins.